Residents' Rights Month is an annual event designated by the Consumer Voice and is celebrated in October to honor residents living in all long-term care facilities, including nursing homes, sub acute units, assisted living, board and care and retirement communities. It is a time for celebration and recognition offering an opportunity for every facility to focus on and celebrate awareness of dignity, respect and the value of each individual resident. The theme for Residents' Rights Month 2015 is, "CARE Matters" with the goal of highlighting quality care. Each year, the Consumer Voice develops a packet to help you plan your Residents’ Rights events. The packet is completely downloadable and features ready-to-use items, including promotional materials, activities to celebrate Residents' Rights Month, training tools and resources. Check back as Residents' Rights Month packet materials become available. In 2006, the theme of Residents' Rights Week was CARE Matters. The 2006 packet was split into four sections named for the letters in CARE - Choice, Accountability, Rights and Empowerment. Many materials and resources from this packet are still relevant and useful today. The entry period for the Resident's Voice Challenge 2015 has closed. View this year's Resident's Voice submissions here. Consumer Voice is pleased to announce the 2015 Resident’s Voice Challenge! Creative writing and artistic expression are meaningful and compelling ways to communicate the importance of residents’ rights and how these rights can be carried out in all long-term care settings. For this year’s Resident’s Voice Challenge, residents are encouraged to pick up their pens, dust off their type writers or use a computer to display their writing or artistic skills by submitting essays, poems, artwork, drawings, or videos related to the theme for Residents' Rights Month 2015 "CARE Matters". Entries submitted for the Resident’s Voice Challenge will be compiled and shared in a variety of formats. We are asking residents and consumers to submit 40 words of wisdom to coincide with the celebration of Consumer Voice’s 40th anniversary. Some entries may appear in our “40 Words of Wisdom” book (available for preorder now). 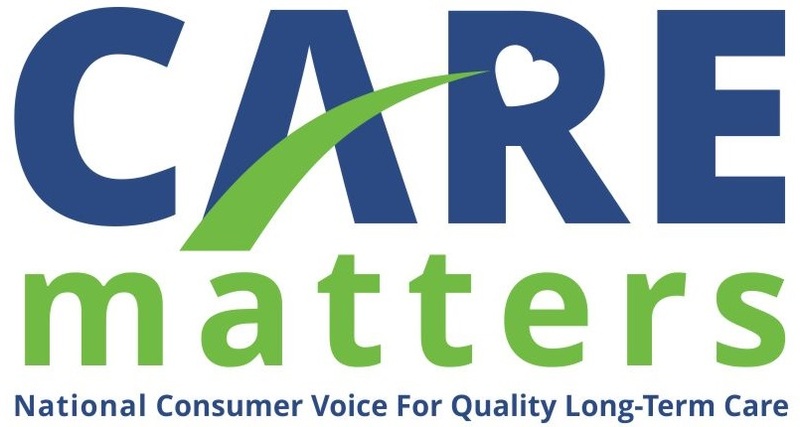 Other submissions may appear on the Consumer Voice website, be featured at the 2015 Annual Conference, be highlighted in our weekly e-newsletter - The Gazette, or be used in additional forums. Every resident who submits an entry will receive a certificate for participating in the 2015 Resident’s Voice. For more information and submission guidelines, click here. For ideas on how to incorporate the CARE Matters theme, look at examples from Resident's Voice in 2006 and examples from Resident's Voice in 2005. Spread the word about the Resident's Voice Challenge with this printable flyer. Biopoem - This format can be used to collect information from residents to develop a poem about their lives. Resident Hero - This form can be used to collect information about residents to present in a faciltily open house or other activities. This information can be included with Resident's Voice entries posted within facilities or the community. Residents' Rights Month is a time to offer residents an opportunity to participate in engaging activities. Use the activities below to involve residents and staff members in sharing with the community. “I want to tell you about my mother." 40 Words of Wisdom is a unique keepsake book featuring written entries and artwork created by residents around the nation sharing their words of wisdom, thoughts on care and creativity. 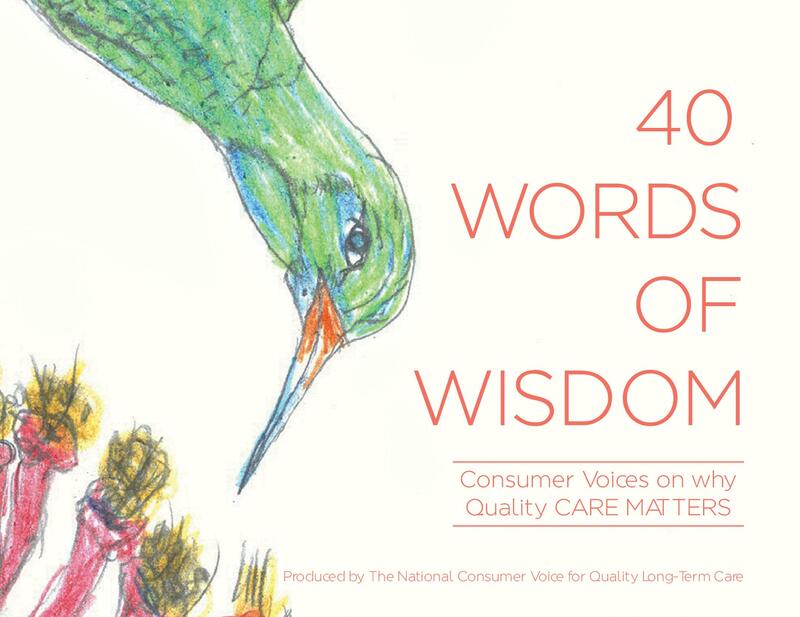 As part of the Consumer Voice’s 40th Anniversary celebration, we selected 40 of our favorite Resident's Voice entries--moving essays, touching poetry and beautiful art--and combined them into 40 Words of Wisdom, a poignant collaboration of resident voices across the nation. This is a must-have collection! Order your copy now! How will you be celebrating Residents' Rights Month this year? Email information, news articles, photos and event details to info@theconsumervoice.org. Centralina Area Agency on Aging in Charlotte, NC is holding a Residents' Rights Celebration on Friday, October 2nd. RSVP by Monday, September 28th. For more information, click here. Iowa Office of Long-Term Care Ombudsman is holding training events in several local communities to celebrate Residents' Rights Month. Trainings are open to any interested individuals. Find more information here. In Richmond, Virginia, Senior Connections' Long-Term Care Ombudsman will be meeting with local hospitals in the area to provide education on residents' rights with focus on discharge concerns relating to nursing homes assisted living facilities. The 19th Annual Voices Forum is held during Residents' Rights Month. This year's focus is on legislative advocacy and how residents can proactively advocate. State Department on Aging Commissioner Betsy Ritter, a Connecticut State Representative for a decade will present the legislator's perspective of how best to present legislative proposals to your representatives. She will talk about getting the attention of lawmakers by telling them why "this is important to me." Consumer Voice materials, the staffing postcards will be distributed to the residents and a calendar specific to legislative advocacy will be provided. The calendar includes regular reminders to call and write your legislator. The Voices Forum will also include an update on the Java Music Forum that three of Connecticut nursing homes have been using. State Ombudsman Nancy Shaffer and Resident Advocate Brian Capshaw will also film "bookend" PSA's about the Ombudsman Program. 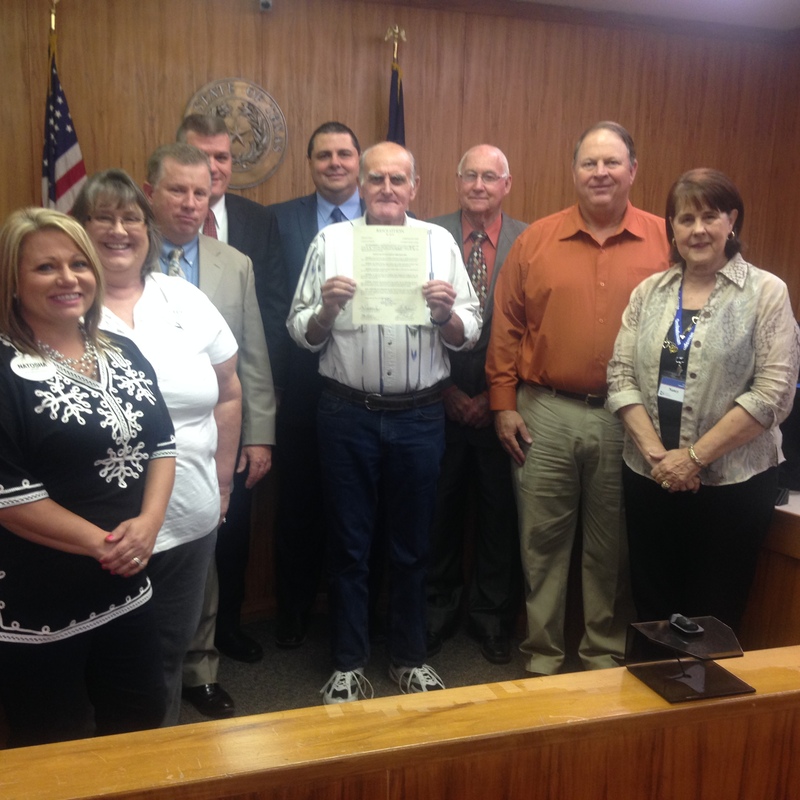 In Orange County, Texas, the Orange County Commissioners Court proclaimed October 2015 as National Long-Term Care Residents' Rights Month. Find more information here. An Ombudsman in North Carolina had an article published about activities being held for Residents' Rights Month. She mentions how Annette Davis, an activity director, plans to play Residents' Rights Bingo throughout the month as well as host a Family Night for the residents and their loved ones. Dee Hanchett, another activity director, will be hosting a "Happy Hour" for the residents. Other activities highlighted in the article include having a few residents present when the Orange County Commissioners' Court issues a proclamation declaring October as Residents' Rights Month. As well as delivering a tote bag, along with a copy of Residents' Rights to each long-term care resident living in Orange County. To view the whole article, click here. A column in the Kent County News in Maryland highlighted Residents' Rights Month. To view the article click here. The Missoulian is a Montana news source that published an article describing Residents' Rights Month. The article discusses The Ombudsman Program at Missoula Aging Services (MAS) and how they utilize specially trained volunteers called Friendly Visitors who get to know the residents as they regularly check in or attend activities with them. Click here to view the article. The Missoulian published another article encouraging the people of Missoula Montana to take a few hours out of their busy life to stop by one of the four nursing homes and 20 assisted living facilities to say "hello" to a few of the residents. To view the article click here. The Muskogee Phoenix in Arizona published an article about shining light on residents in long-term care. The article mentions The Eastern Oklahoma Development District Area Agency on Aging and how they will be educating residents, staff and family members about Residents' Rights and Elder Abuse Prevention. Click here to view the article. 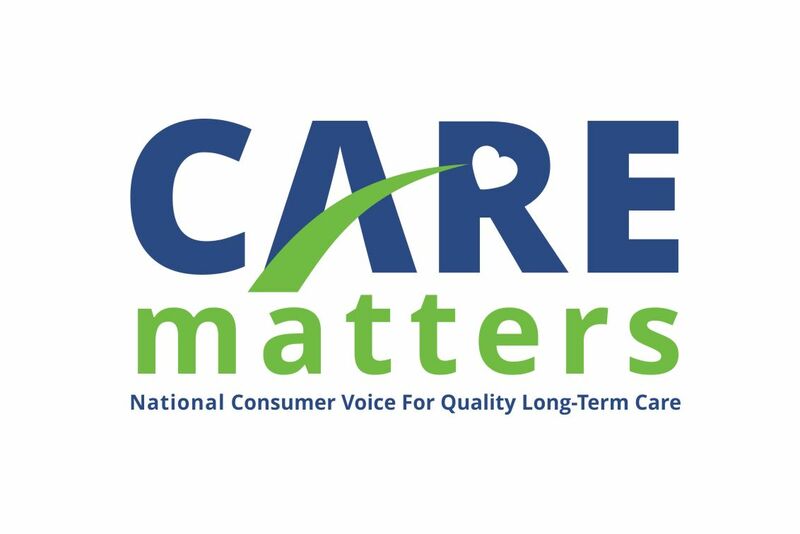 On Tuesday, October 6 in Chambersburg Pennsylvania the Franklin County Commissioners declared October to be National Long-Term Care Residents' Rights Month. To view the article click here. In Little Rock, Arkansas AANHR is once again sponsoring the Arkansas Residents' Rights Rally at the Capital Steps. The Governor's proclamation will be displayed and this year's keynote speaker is Arkansas Attorney General, Leslie Rutledge. The goal is to learn more about the rights of residents and how to protect our loved ones while in the care of Long-Term Care Facilities. Click here to view the press release for the event. To view an article written on this event click here. In California, Denise Willamson and Mary Taack are using this month to educate long-term care residents about the issues surrounding residents' rights. In Montgomery County, Maryland, at Manor Care Wheaton a Residents' Rights luncheon was hosted with games and prizes. 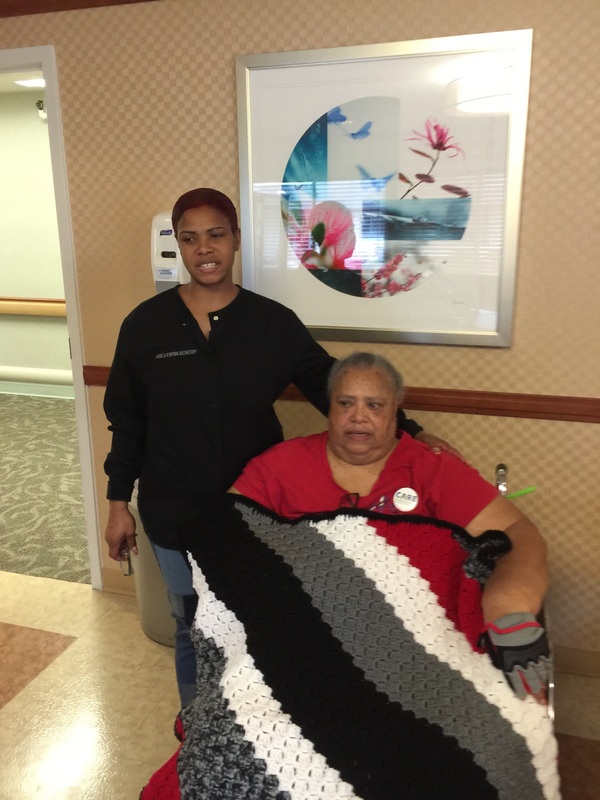 Pictured are Elaine Murray, the resident who won the grand prize of an "RSVP Yarners" handmade lapghan, and the activities director, Angela. 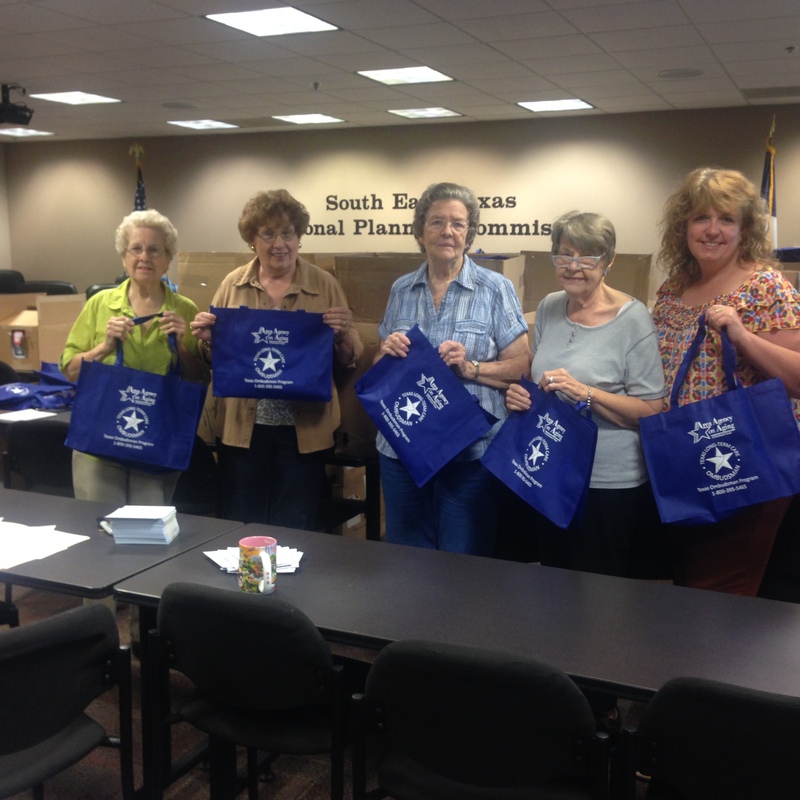 The Long-Term Care Ombudsman Program of Southeast Texas is celebrating Residents' Rights Month by issuing a Proclamation declaring October Residents' Rights Month in Orange, Hardin and Jefferson counties. 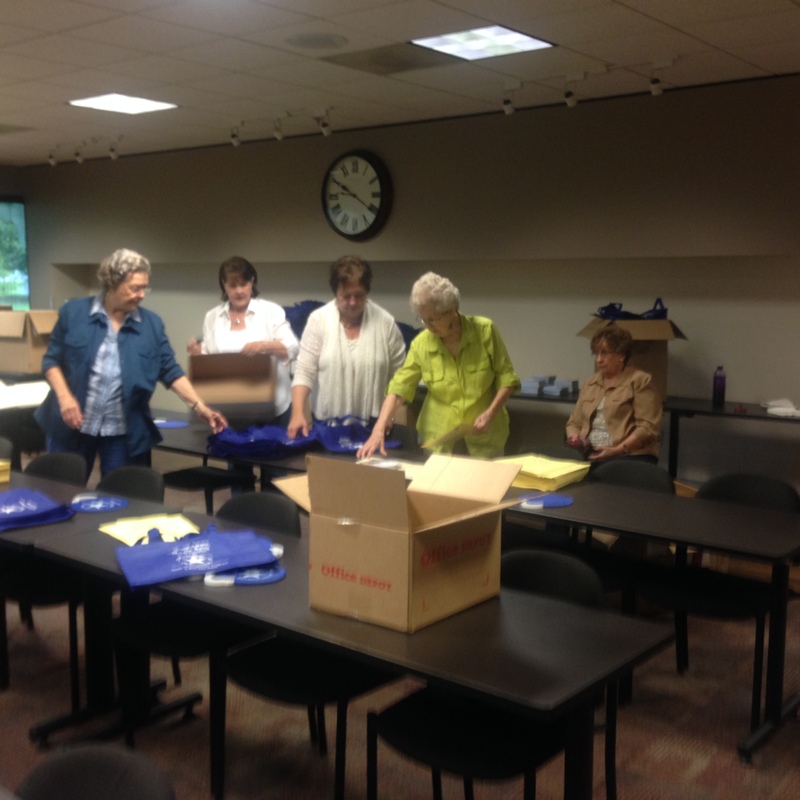 Nancy Kendall, Sally Krall, Staff Ombudsman and 14 volunteers will also be delivering tote bags to nearly 2,700 residents in the tri-county area throughout the month of October. The tote bag contains a copy of their rights, an Ombudsman brochure, a postcard with the name and contact information of their facility's ombudsman and a small gift. In Pennsylvania a facility staff person, created this word search hours after Nancy Nemoyer, from Cumberland County Office of Aging and Community Services, presented the Residents' Rights theme CARE Matters to the group. 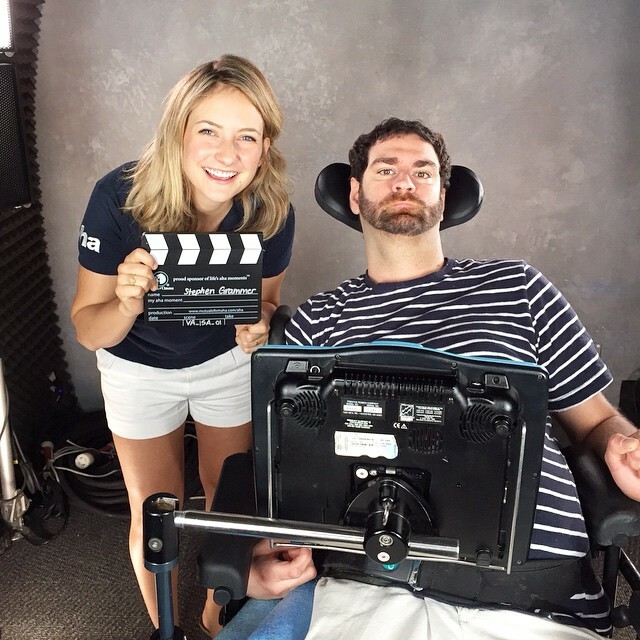 Steve Grammer is an advocate for people with disabilities. As part of Residents' Rights Month he plans on continuing to communicate with local legislatures to advocate for people with disabilities to keep them out of nursing homes. His goal is to educate legislatures on how mistreated people are in nursing homes, and if you have to live in one there must be a way to get better quality care, which everyone deserves. In Iowa, the Office of the State Long-Term Care Ombudsman has decided to produce four short versions of The Advocate this month that focus on topics related to residents' rights that begin with the letters C, A, R and E. These special issues will be emailed each Monday in October and will hopefully provide you with an interesting discussion topic for your weekly staff meeting, spark an idea for a Residents' Rights Month activity or just make you stop and reflect for a moment on the crucial role in enhancing the quality of life for all residents. View the "E" newsletter here. DC LTCOP sponsored a Residents' Rights Luncheon where the theme was a Masquerade Party. At the party there was a live jazz band, a performance by MC Steppers, and a Your Voice Matters Poetry Reading Competition where select residents read their poems and the winner was selected to receive a prize. There was around 100 residents in presence and one of the main topics that was discussed was what CARE means. C stands for choice, cultural differences, being courteous, cordial and compassionate. A stands for activities, accommodations, and awareness. R stands for residents, relatives and respect. E stands for empowerment, engagement, and environment. 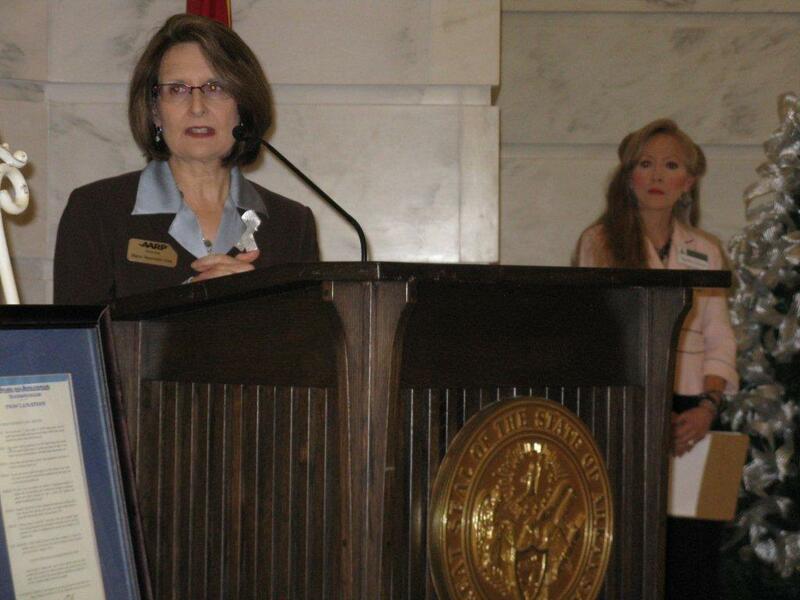 Gail Wilcox, an Ombudsman Supervisor in Oklahoma, wrote an article in the Altus Times about Residents' Rights Month. This article discusses how this month is a perfect time to highlight the life of deserving individuals that are spending days and hours in a facility rather than home. She talks about how a resident could have very possibly survived the depression, war, dust bowl, and other travesties of life. Visiting residents is a perfect way to honor and respect the many contributions afforded to others. Take 30 minutes during a hectic week to visit one resident in a facility near you. View the article here. In Pennsylvania and in recognition of National Residents' Rights Month and its importance to the quality of life and care for those residing in long-term care facilities, the Department of Military and Veterans Affairs (DMVA) has standardized the resident grievance policy at its six state veterans homes. The six homes serve more than 1,500 eligible veterans. They include the Delaware Valley Veterans' Home in Philadelphia, the Gino J. Merli Veterans' Center in Scranton, the Hollidaysburg Veterans' Home in Hollidaysburg, the Pennsylvania Soldiers' and Sailors' Homein Erie, the Southeastern Veterans' Center in Spring City, and the Southwestern Veterans' Center in Pittsburgh. View the article here. The Secretary of the Pennsylvania Department of Aging was invited to recognize the significance of this month by participating in the annual Northeast Pennsylvania PEER Networking Luncheon, which was hosted by Mountain View Care Center in Scranton. Through the Department's PEER (Pennsylvania Empowered Expert Resident) Program over 2,200 long-term care residents have been trained to advocate for themselves and for others who reside in a long-term care facility. Tom Wolf, the Govornor of Pennsylvania signed a proclamation to declare October as Residents' Rights Month. To view the proclamation click here. 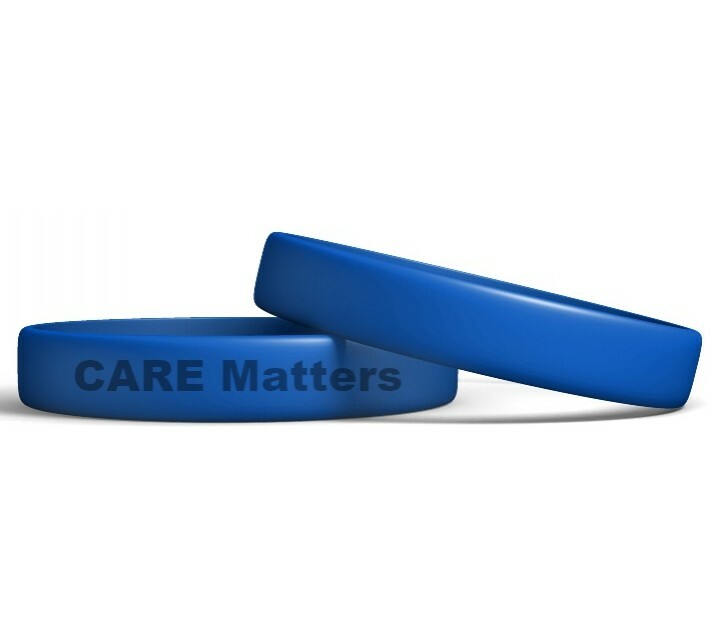 In Contra Costa County, California advocates ordered 150 CARE Matters wristbands and they have been distributing them at various events. At a Board of Supervisors meeting where they gave out 87 bracelets and received a proclamation recognizing their work as ombudsman and commemorating the month as Resident's Right month in the county. 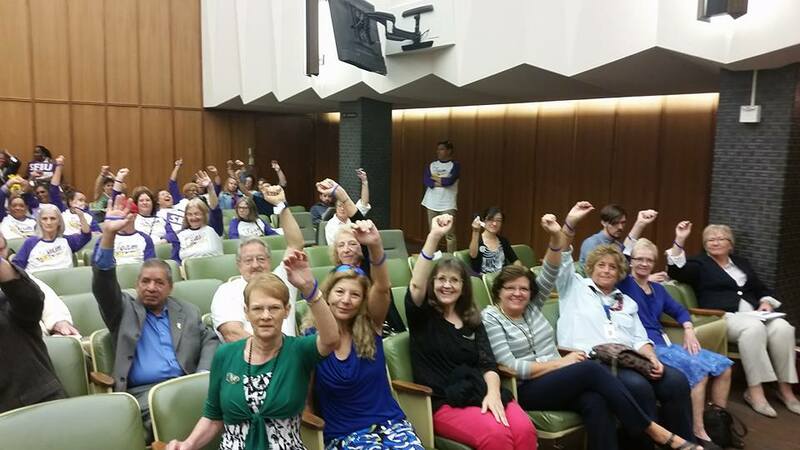 They also won a friendly wager with a neighboring LTC Ombudsman program getting the most people in a room wearing the bracelets. 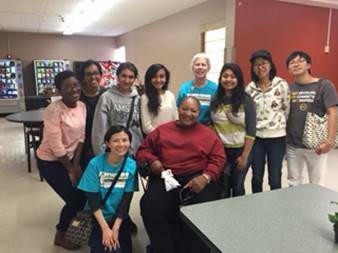 In Georgia, on October 17, 2015, eight Georgia Tech students along with Melanie and Lin from Georgia's Long-Term Care Ombudsman Program, spent an afternoon with residents of Legacy Transitional Care and Rehab on Auburn Avenue in Atlanta. Together they participated in intergenerational activities such as, creating an indoor garden, playing residents rights bingo game, and most importantly, offering company to residents, which helps stave off feelings of disconnectedness. The Georgia Governor also signed a Proclamation regarding Residents’ Rights Month. In Carlisle Pennsylvania The Sentinel wrote an article about Residents' Rights Month and the importance of protecting the rights of nursing home residents. To view the whole article click here.